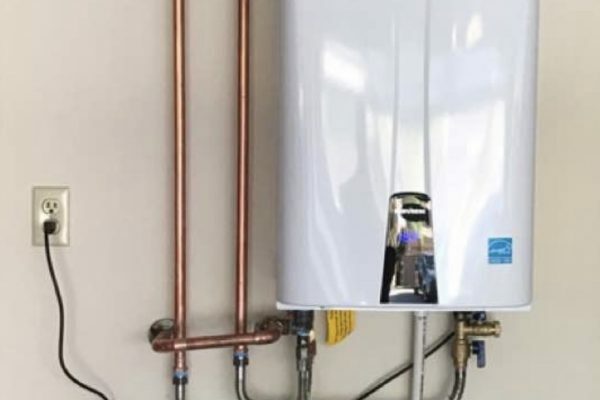 Suddenly without enough hot water? Or none at all? Or has your hot water become off-color or a bit smelly? 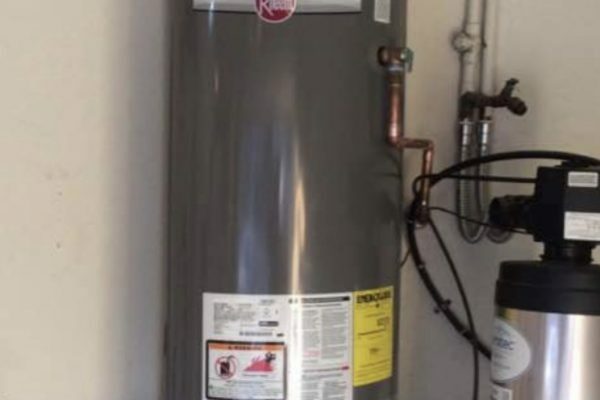 We’re the experts in electric water heater repairs, installations, and replacement. In most cases it’s a same day service. No one likes their day ruined, so we’re available 24/7 for residential and commercial customers alike. TIP: If there’s no hot water at all, first check that the circuit-breaker in the “fuse box” at your home or business hasn’t tripped. If that doesn’t do the trick it’s possible the over-temperature safety has tripped. Try pressing the red red reset button on the heater itself. We’ll put an end to cold showers and dirty dishes right away. 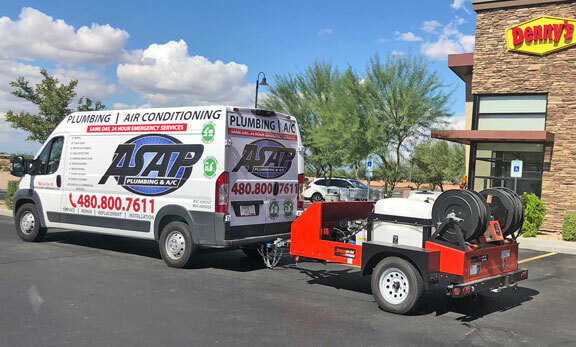 ASAP Plumbing provides affordable electric water heater repair and replacement services to all Phoenix, Chandler, Gilbert, Arizona and surrounding areas. Schedule an appointment today. 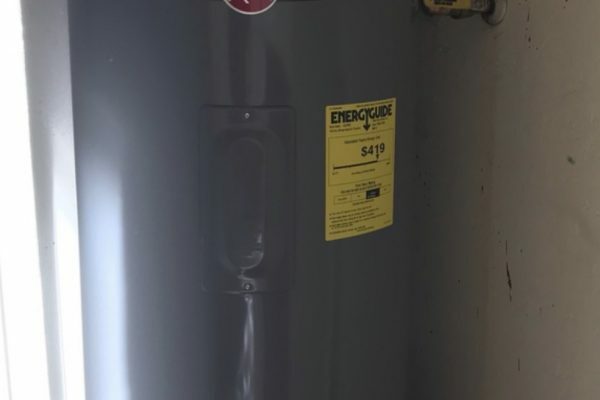 The most common problem with electric water heaters is a burned out resistance heating element. That’s quick and easy for us to check, and usually straightforward to replace. Nearly all models have two elements, so if you’re not getting as much hot water as you used to, just one of them might have burnt out. Our experienced trouble-shooters are up to other challenges as well. Scale build up can also reduce capacity, and encourages bacteria to grow within the tank (resulting in smelly water). Or the thermostat might have failed. If you’re seeing rust-colored hot water the protection anode might need replacing. Don’t put off checking into this — the result could be more corrosion and an unrepairable heater. Is there a leak (or gusher) at a valve? That might be a failed temperature/pressure relief valve. Our experts can install a replacement in just a few hours. That includes disconnecting the existing unit, installing the new one, and hauling away the old one. And we’ll make sure you get the right replacement. 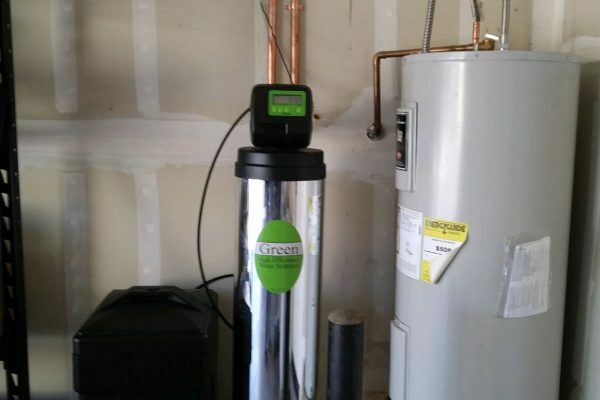 Our experts will work out the best combination of tank size and FHR — first hour rating, the amount of hot water it can deliver in an hour. Rest assured your installation will be up to local building codes. 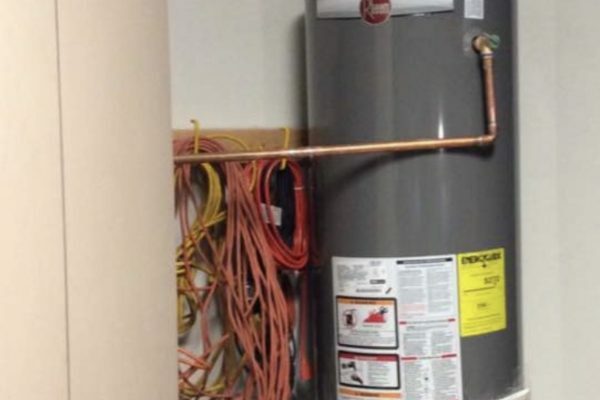 As needed we can install a drip pan and drain line as well as a water shutoff valve. Have banging or rattling pipes? We can install expansion bottles to fix that. Unless the tank itself is leaking repair is almost always an option. But it may not be the lowest-cost option in the long run. That’s especially true for units past their warranty or that have already needed a repair or two. 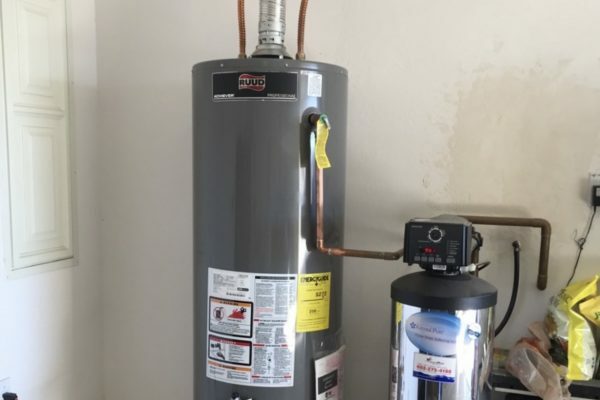 Electric water heaters last longer than gas heaters (10-15 years versus 8-12 years) and generally cost less to purchase and install. But they cost significantly more to operate. That’s because per unit of energy electricity costs a lot more than natural gas. So why electric? That may be the only option if you’re far from city gas lines. But the economics also favor electric for apartments and especially for small units serving a single bathroom. The same goes for any location where it would be expensive to add a gas line and exhaust flue. Today’s models are often 10-20% more efficient than older units, tilting the balance a little towards replacement rather than repair. And you may be able to get a utility company rebate for Energy Star models. 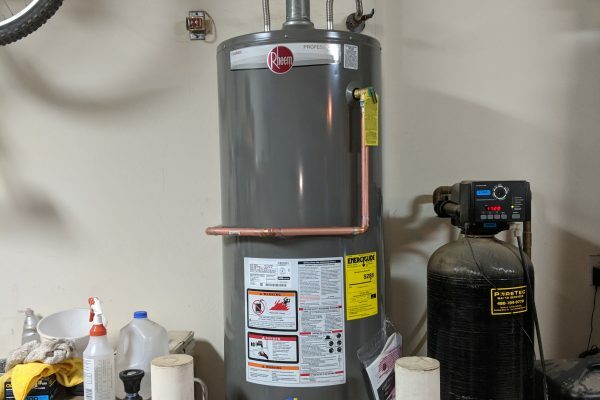 For tanks above 55 gallons today’s energy standards pretty much mean newer heat-pump technology rather than the old electric resistance elements. They’re much more expensive, but commonly use only half as much electricity as resistance heaters. 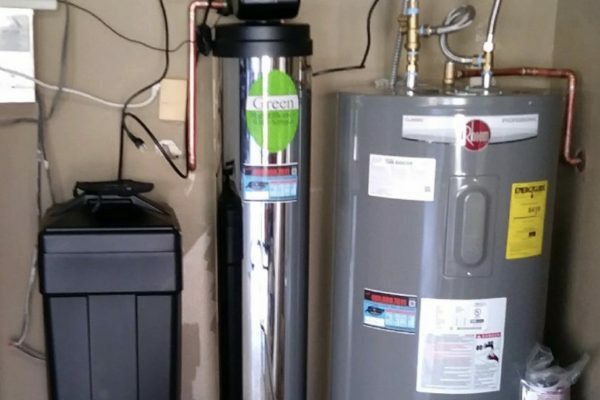 Electric tankless water heaters are another option. Rather than having a big storage tank these heat the only the water you use, as you use it. So you’ll never run out. They also use significantly less electricity and can be installed almost anywhere. We’ll be glad to work out the most economical solution for your budget. 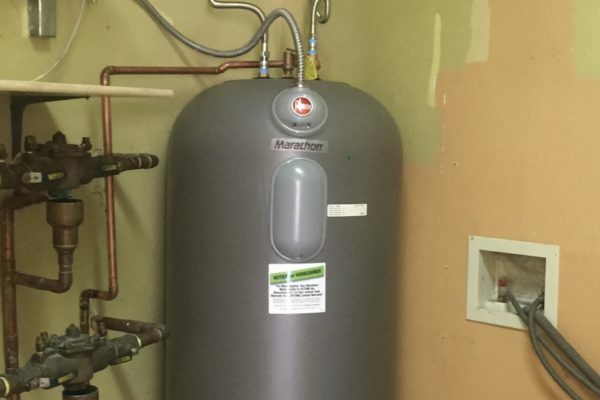 It’s easy to ignore your hot water heater until it gives you trouble. That’s what most people do. But manufactures recommend an annual drain and flush. We can provide that service along with a performance and safety inspection so you’ll have maximum capacity and a longer heater lifetime. 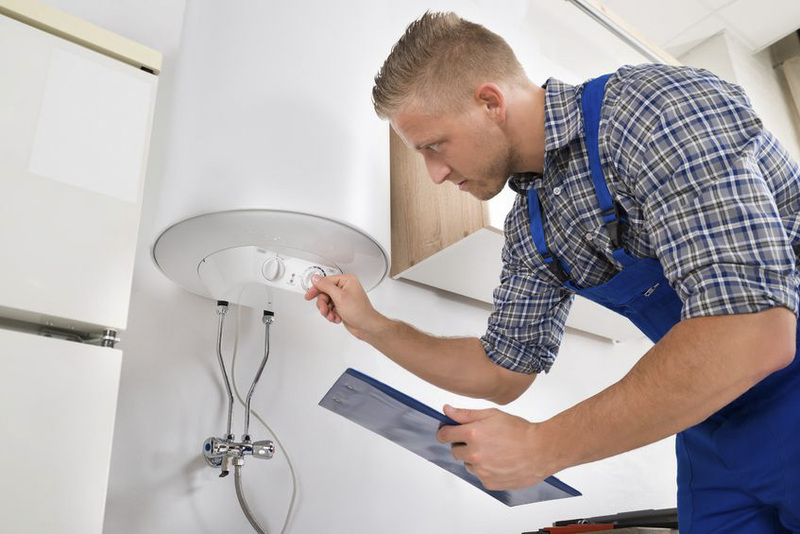 We’re a full-service residential and commercial plumbing contractor. We’re available 24/7 but never charge extra for evenings or weekends. As soon as we’ve diagnosed the problem you’ll get an accurate cost estimate right up front. And we guarantee our work, and your satisfaction.